His Holiness Sri Ganapathy Sachchidananda Swamiji had identified the good qualities in Sri.Harsha Sharma and kept him under Sri Swamiji’s spiritual observance, tutelage, and guidance. On 27th May, 2004, Sri Harsha Sharma was annointed as a junior pontiff of Avadoota Datta Peetham in presence of erudite scholars. 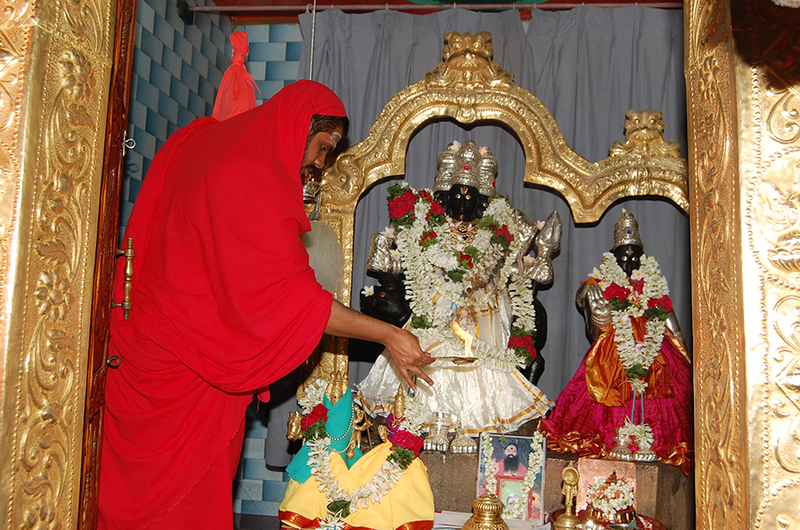 He was given the Sannyasa Deeksha name as “Sri Datta Vijayananda Teertha”. Through this sacred initiation, Sri Ganapathy Sachchidananda Swamiji has infused into Sri Bala Swamiji, the rich, spiritual, and ritualistic Datta heritage. Through sacred initiation, Sri Swamiji has infused into Sri Bala Swamiji, the rich, spiritual, and ritualistic Datta heritage. The pure light growing ever brighter within him transforms Sri Bala Swamiji. Because of Sri Swamiji’s influence and sacred tutelage, Sri Bala Swamiji becomes a radiant lamp, a brilliant Light dissolving the darkness of ignorance. 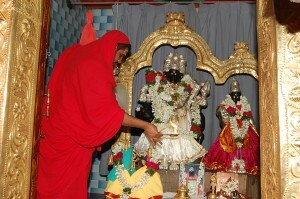 Essentially Sri Swamiji initiates a replica of His spiritual essence. Sri Bala Swamiji had to have the sacred wherewithal, the basic substance, with which Sri Swamiji could work. Even though Sri Bal Swamiji was born for this purpose, it is a long process of transformation. Sri Bala Swamiji is under continuous practice and sadhana to become a pure channel for Sri Swamiji. The intensity of work between Sri Swamiji and Sri Bala Swamiji goes far higher and much deeper than the secular, by the divine power that Sri Swamiji has bestowed on Sri Bala Swamiji. In spite of appearances to lay people like me, this has not been an overnight event. 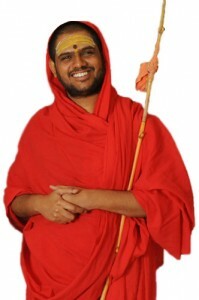 Sri Swamiji had identified Sri Bala Swamiji prior to his birth. Consequently, Sri Bala Swamiji has been under Sri Swamiji’s spiritual observance, tutelage, and guidance since then, so that he will be able to fulfill the purpose for which he was born.